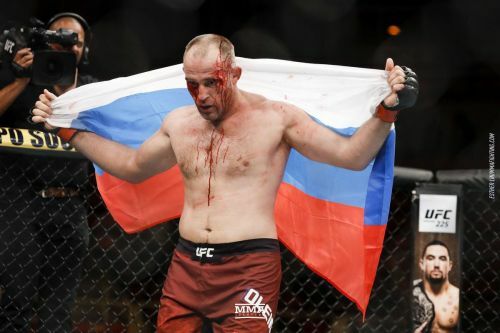 The UFC’s first show in Russia, Fight Night 136 was a card largely devoid of big names, but filled with prospects and veterans from Eastern Europe looking to put on some exciting fights for what was an energized crowd. For the most part they succeeded and with this experiment in the books, I’d assume the UFC will be back in Russia for a bigger card soon. Of the 12 fights on offer we got 5 finishes, and for the most part, the fights that went the distance were largely entertaining. As always there were high points and low points, too. Here are the best and worst moments from Fight Night 136. When the UFC signed veteran Aleksei Oleinik back in 2014, the Ukrainian wasn’t expected to make much of a dent in the Heavyweight rankings. Sure, he was on a 9 fight win streak and had submitted legend Mirko Cro Cop in his last fight, but he was also shopworn and already 37 years old. 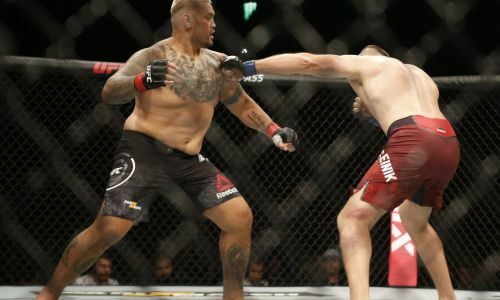 Four years down the line and Oleinik is likely to crack the UFC’s top ten at Heavyweight this week coming off last night’s impressive submission of Mark Hunt. Oleinik didn’t make it look easy – he was being lit up on the feet by Hunt with only his toughness keeping him in the fight – but once he got the Kiwi veteran to the ground, he wasted no time in strangling him to pick up the victory. Perhaps no other fighter in the UFC has as apt a nickname as Oleinik. He really is a Boa Constrictor inside the cage – largely slow-moving, apparently sluggish and hittable, but once he’s got you in his grip you’re probably doomed. Of his 6 UFC wins, 5 have come by submission. Quite where he goes next is anyone’s guess – if he takes Hunt’s spot at #8 then maybe a fight with fellow veteran Alistair Overeem would work as the other fighters higher up are all booked. Either way though, anything he can continue to squeeze out of his UFC career – pun intended – is a bonus as he wasn’t ever expected to make it this far. Fair play to him.